Several major shareholders have voiced discontent with the approx. $370mln retention bonuses for the top 72 executives of Xstrata that has been made part of the vote on the Glencore-Xstrata merger. BHP Billiton received environmental clearance for the expansion of Port Hedland’s iron ore harbour. The project could cost around $20bln up to 2022 to increase export capacity to 350Mtpa. The government of Southern Australia is pressuring BHP to start the expansion of its Olympic Dam copper/uranium project before the end of the year, threatening not to extend the permits. The Olympic Dam expansion is one of the key projects that might be cancelled or delayed as BHP tries to limit investment and return money to shareholders. 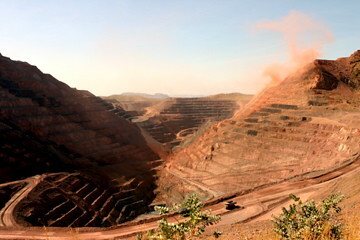 Fortescue, Australia’s third largest iron ore miner, is close to completion of an expansion that will enable it to export 155Mtpa iron ore. The CEO of the company has indicated that it will focus on repayment of debt before undertaking further expansion. The company has received negative feedback from investors because of its high gearing. Its Debt/Equity ratio stands at approx. 45%, versus 26% for Vale and Rio Tinto and 15% for BHP Billiton. If BHP decided to press on with the Port Hedland expansion at the expense of large development projects in other business units that would be a next sign that the supermajors are preferring the relatively predictable iron ore market over further diversification. Both Rio Tinto and BHP Billiton are considering sale of their iron ore business, BHP is in the process of reviewing the options for its Australian manganese operations, and Vale reached a deal last week to dispose its coal operations. The proposed retention bonuses for the top 72 managers of Xstrata add up to around $370mln, an average of some $5mln per person, 4% of last year’s profit, roughly 1-2 annual executive salaries per person, about $0.8 per share, or some 0.1% of share price. The bonuses are set up to keep the managers with the company for at least another 3 years. Even though we are talking about a lot of money that could trigger ethical debate about the executive pay in the industry, the shareholders hardly have any ground to protest the plan from a business perspective. Retention of the top managers after the merger should certainly enable the company to get a quick payback on the $370mln.